Muted blues nuno felted cobweb felt scarf/wrap. 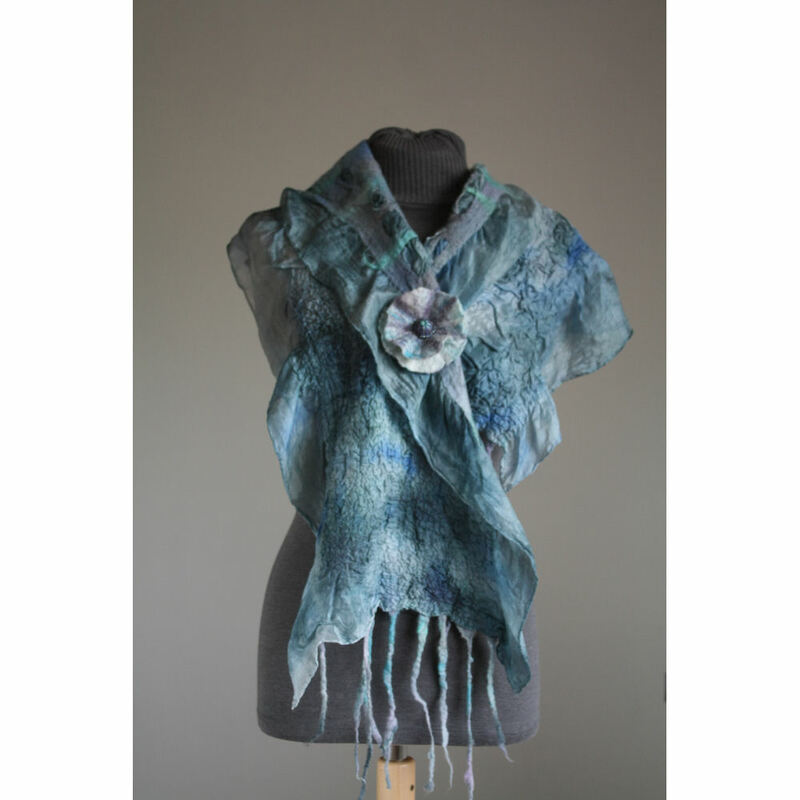 Inspired by the soft blues and lilacs of summer skies, this scarf/wrap started off as a cobweb Merino and silk felt scarf which was hand dyed in a range of blues and lilacs. This was then nuno felted onto a hand dyed ponge silk scarf/wrap, leaving the deep edges which ruffle and drape beautifully. The reverse is heavily rouched, making this scarf able to be worn with either side facing out. Shown are some of the ways it can be worn, making it a very versatile scarf/wrap. 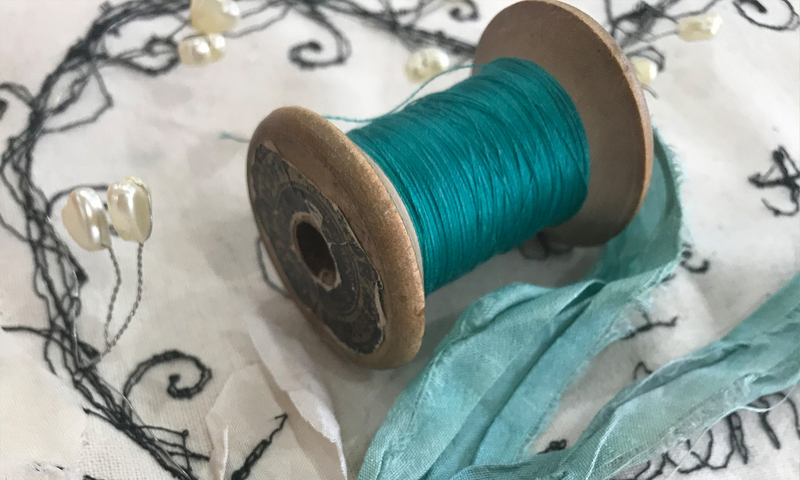 Perfect for providing a little extra cover up with a strappy dress, for a summer wedding, or as a luxurious scarf wrap to keep you warm on a winters day. shown in the photo is a co-ordinating flower corsage, which is not included but can be bought from our flower corsage page.